SUTTON-JOHNSON ~ “Louise would like to let you know that her work here is done. She received a call, sort of an offer you can’t refuse, for an appointment from which she will not be returning. This assignment comes with a huge sign on bonus, a reunion with family and friends she has not seen in a long time. Job security is exactly 110 percent. Her new mission takes her to a wonderful place where she will be praying, socializing, fishing, playing dominoes, crossword puzzles, bid whiz and growing her plants until her heart’s content. Laughter and love are guaranteed. Food is delicious and you never gain an ounce. She left detailed instructions for her family to celebrate her mission here which has now been complete. Low adherence to this instruction will not be tolerated! ! ! 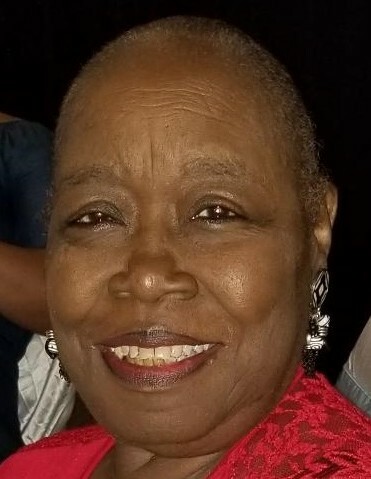 Mrs. Hattie Louise Sutton-Johnson was born in Jacksonville, Florida Tuesday, January 28, 1947 to the parents of Marion Cornelius Sutton and Ruthie Mae White Sutton. Louise accepted Christ at an early age in the fifties at Dayspring Baptist Church, Rev. Cyrus Weaver; she later moved her membership to St. Paul Missionary Baptist Church. She was educated in the local school system, graduating from New Stanton Senior High School, Class of 1964. Louise was so excited when she accepted her first major job with the Federal Bureau of Investigation in Washington, DC in the fingerprint department. She later retired from Blue Cross – Blue Shield with twenty-eight years of service. Louse was very passionate about her family, if you ever had the opportunity to meet her, it was definite that you would not forget her. Louise was the “Rock” in this family, her presence will truly be missed. So many of us have our own stories that we will be reminiscing until we’re called to glory. Louise was preceded in death by her husband, Thomas Johnson; mother; father; sons, Darren Johnson & Cisco McCord; sisters, Betty, Wanda, Valarie Sutton, Nancie Green Pough; nephew, Feyon Siplin; niece, Kiesha Pough. She leaves to cherish her memory, daughter, Shimicka (Eric) Stokes; grandsons, Steve Browder, Keyon McCord, DeEric Stokes; granddaughters, Shominique Phelps, Brandy Long, Lyric McCord, Zion Stokes; great grasndson, Kyrie McCord; brother, Thomas Sutton, Sr.; sisters, Shirley (Jamison) Sutton, Beverly (Bobby) Boyd; nephews, Thomas Sutton, Jr., Bobby Boyd, Jr., Joey Jamison, Jaquad Pough,; nieces, Fatisa, Latreshia, Sacora Boyd; many loving family and friends. Celebration of Life Service for Hattie Louise Sutton-Johnson will be 12 NO0N Saturday, September 15, 2018 at St. Paul Missionary Baptist Church 3738 Winton Dr, Bishop John E. Guns, Pastor. Family will receive friends FRIDAY from 5-7 PM at THE SOUTEL CHAPEL. Interment at Jacksonville National Cemetery. Because of the love of her family, arrangements entrusted to J. E. Fralin & Sons Funeral & Cremation Services, 5065 Soutel Dr. 904.924.9400.